Traveling with your family can be exciting and educational, but it’s vital to consider your children’s needs before setting off on your journey. If you arrive at your destination feeling stressed and miserable, it’s hard to get into the vacation spirit! Here are six things you should pack if you want to ensure that everything runs smoothly. 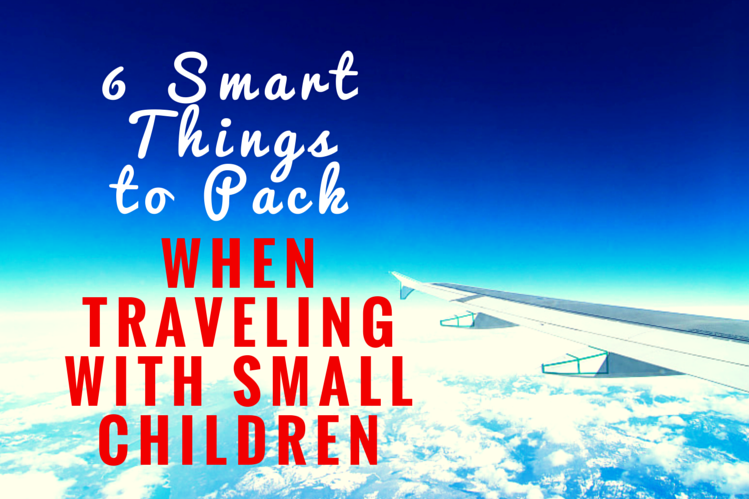 It’s particularly important to pack lots of stimulating toys, games, and books if you’re going to go on a long trip, as being stuck in a car or on a plane for hours can make children feel incredibly restless. Conserve space by picking your kid’s favorites, and consider bringing a few new toys as a surprise. You might even want to hold these new ones back until your child starts showing the telltale signs of a bad mood! However, if you’re flying then you’ll want to give some thought to whether all these toys will make it through the security screening (for example, Play-Doh is actually considered to be a potential explosive). Since you never know when your children might suddenly come down with a nasty cold or flu, it’s a good idea to pack children’s Tylenol or another suitable painkiller. If you have a child who is prone to motion sickness, make sure you have Dramamine on hand (which is suitable for most kids over the age of 2). As a bonus, it might help your children drop off to sleep during a long journey. Essential not just for changing diapers but also for cleaning surfaces and sticky hands or faces, you’ll never regret packing an extensive supply of baby wipes. On hot days, baby wipes can also be used to cool sweaty foreheads. If your child is old enough to enjoy drawing or even just scribbling shapes on paper, pack a sturdy pad of paper and a pack of brightly colored crayons or marker pens. You can also use these items to create collaborative pictures or play games like hangman with older children. However, choose art supplies with caution, as you’ll want them to create the least amount of mess. In other words, washable markers are superior to pots of paint! It’s wise to pack changes of clothing in case of spontaneous vomiting or food stains, and it’s also worth making sure you dress your children in layers that can be added or removed. For example, your kids might be boiling on the way to an airport, but start feeling cold when sitting still at high altitudes. Finally, a tablet or a portable DVD player is ideal for a road trip, especially if it can be mounted on the back of your seat. Bring some of your child’s favorite movies, cartoons, and music to reduce boredom, but also consider following the aforementioned tip about unveiling surprises to keep stimulation levels consistently high. Dr. E. C. Gordon (PhD) has a background studying philosophy, psychology, and sociology. She also sees individuals and couples for therapy regarding relationships, personal development, and goal-setting.